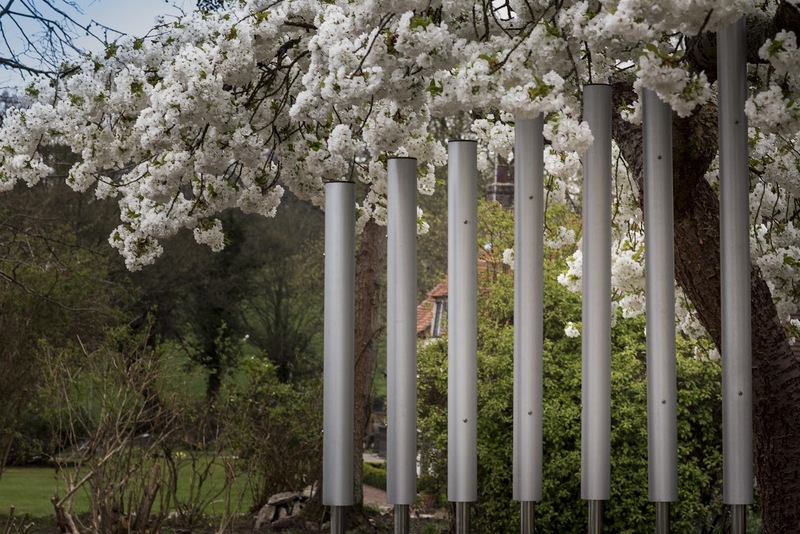 The seven chimes are made of 100mm diameter heavy-duty aluminum tubes and range in height from 1.6m to 2.2m. The tune ranges from A3-C5. 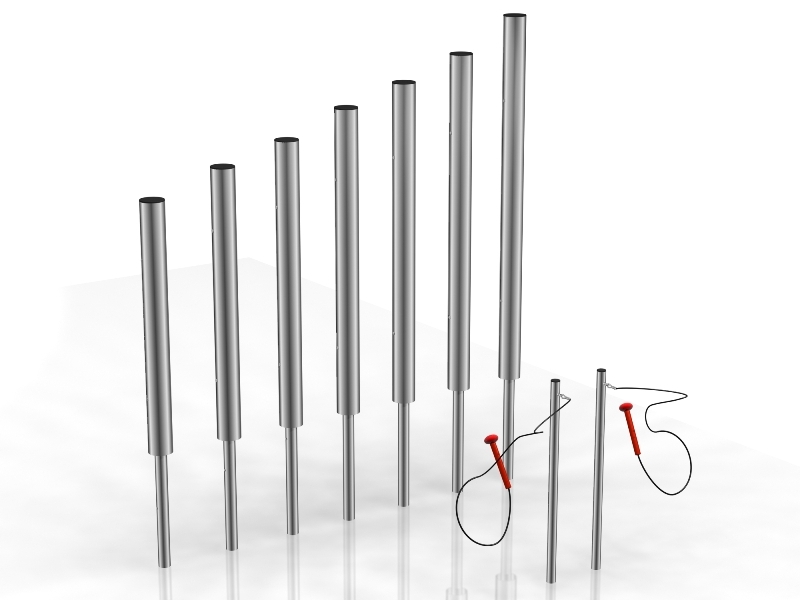 Comes with two durable mallets which are attached to the instrument with coated steel cables. 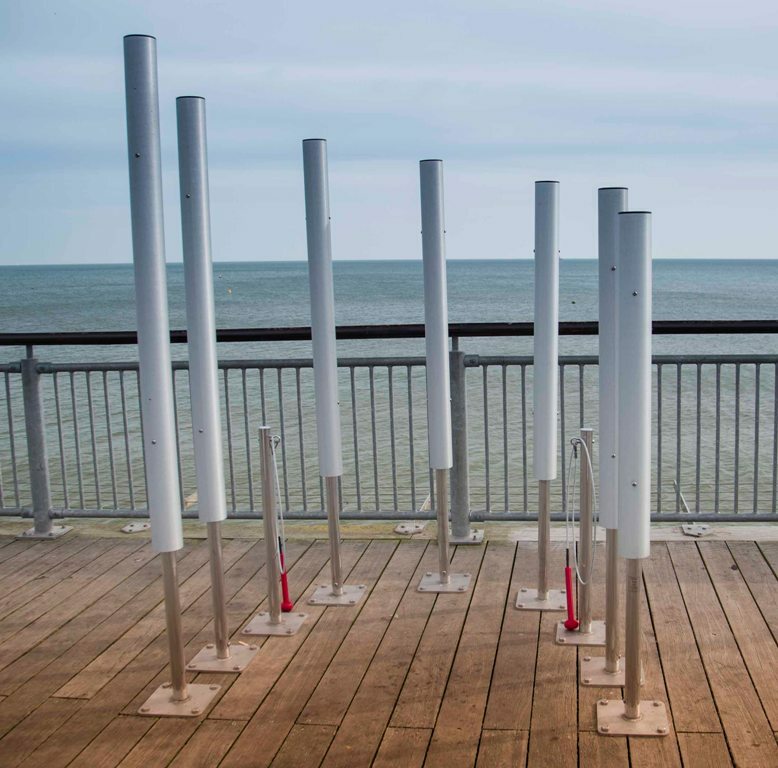 Unit has 2 options for installation: 1. Ground Fixing and 2. Freestanding Horseshoe Base.